Welcome to the latest PassportInfo.com Passport News Roundup! In today’s edition, we’ll be focusing on the new US State Department rule for passport photos. We’ll also be exploring your new options for applying for a new passport this November. There are new passport acceptance facilities that have opened in some places, and in others, passport fairs have been scheduled to let you apply for your new passport outside of standard business hours. 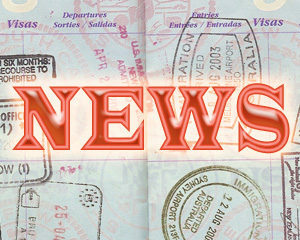 Read on for the freshest passport news in town! Need to get a photo for your new passport? Put your glasses back in their case. Starting today, the State Department will not accept any passport photographs that include eyeglasses. Six weeks ago, we brought you the news that the US State Department was changing their official requirements for US passport photos. 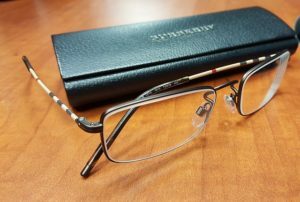 Previously, passport applicants were allowed to wear glasses in their passport photos as long as they had clear lenses. Applicants also had to be careful to make sure that the camera flash did not cause any glare on the glasses that would make their eyes hard to see. Unfortunately, one of the most common reasons for passport applications to be rejected is a photo that does not meet government standards. Many applicants have had to resubmit their passport applications because of photos that had glare on glasses or too-dark tinted lenses. The new rule that glasses can not be worn will prevent those problems. If you have already received a passport that shows you wearing glasses, don’t worry — your passport remains completely valid. You’ll just need to take your glasses off when you get the photo done for your passport renewal! Need to get a first time passport? 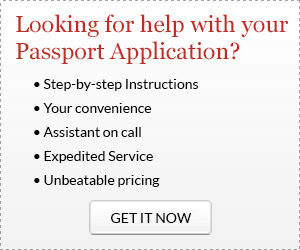 Has your passport been lost, stolen, or damaged, and you need to replace it? Do you need to get a US passport for your child? Your first stop is going to need to be a Passport Acceptance Facility, where a Passport Acceptance Agent can review your application, witness your signature, and seal your application into an official envelope for processing. Passport Acceptance Facilities are often found at large post offices, but can also be found at other government facilities such as Clerk of the Court offices, libraries, and public universities. There are thousands of locations across the United States, including these new Passport Acceptance Facilities located in public libraries. You can apply for a new passport and get the latest bestseller, all at the same time! Alexandria, Virgina: The Alexandria Public Library has expanded their passport acceptance program, and now has a Passport Acceptance Facility at the Barrett Branch Public Library. The Barrett Branch Library at 717 Queen Street, Alexandria, VA will accept passport applications on Mondays, Tuesdays, Fridays, and Sundays. Appointments are required. To schedule your passport acceptance appointment, call 703-746-1700, and select option 5. Berlin, Connecticut: A new Passport Acceptance Facility will open at the Berlin-Peck Memorial Library in mid-November. The official hours of the facility have not yet been announced, but it’s expected that they will include evening and weekend hours. Appointments will be required. Schedule your appointment by stopping by the library reference desk or by calling 860-828-7125. The Berlin-Peck Memorial Library is located at 234 Kensington Road, Berlin, CT. If you work standard office hours, it can be hard to find the time to get to a Passport Acceptance Facility to apply for a new passport. Passport fairs — also called passport days — are the answer to your problem! The following locations will be having passport fairs in November to allow you to apply for a passport outside of normal business hours, or at a different location that may be more convenient for you. Anacortes, Washington: The Anacortes Public Library will hold a passport fair on Saturday, November 5 from 10am to 4pm. The Anacortes Public Library is located at 1220 Tenth Street, Anacortes, WA. Buffalo, New York: A passport day will be held at the SUNY University at Buffalo South Campus on Wednesday, November 2. The event will be in the Health Sciences Library. Passport applications will be accepted by appointment only; call 716-645-2204 to schedule your appointment. The Health Sciences Library is located at 3435 Main St, Buffalo, NY. Chautauqua, New York: A passport fair at the Chautauqua Post Office will be held on November 19 from 10am to 2pm. Appointments are not required. The Chautauqua Post Office can be found at 10-12 Roberts Ave., Chautauqua, NY. Elk River, Minnesota: Special passport acceptance hours will be offered by the Sherburn County Recorder office on Wednesday, November 2 from 4:30 to 7pm. The office is located at 13880 Business Center Dr NW, Elk River, MN. Levittown, Pennsylvania: The Levittown Post Office will hold a passport day on Saturday, November 5. Passport applications will be accepted from 9:30am to 3pm. The address of the Levittown Post Office is 7200 New Falls Rd, Levittown, PA.
Ottumwa, Iowa: A Saturday passport acceptance day will be held at the Wapello County Recorder office on November 5 from 8am to noon. Appointments are recommended but not required; call 641-683-0047 to schedule an appointment. The Wapello County Recorder office can be found inside the Wapello County Attorney’s Office, 101 West 4th St, Ottumwa, IA. Westfield, New York: The Westfield Post Office will open for passport applications on Saturday, November 5 from 9am to noon. The post office is located at 7 Academy St., Westfield, NY.